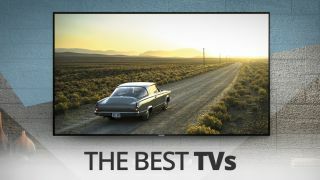 Welcome to the Best TV Buying Guide: Get ready for TechRadar’s round-up of the best TV sets for your home in 2019. We may not even be halfway through the year yet, but it’s still been a great few months for the TV market. Plenty of new sets have been pushing the limits of high-end, advanced performance and redefining what we can expect from a low or mid-range set. Whether you need a new television for a dream home cinema set-up, or just need a set to watch the news on, you’re going to clock up a lot of hours in front of this screen – so you need one that suits you. TVs can be some of the biggest purchases you make for your home, and the last thing you want is to invest in something that isn’t right. Whatever your budget for a new TV, there are countless features, smart capabilities, panel technologies, and more to consider when pinning down your perfect purchase. With all the major manufacturers locked in a yearly arms race to outdo rivals, keeping up with the latest developments can feel impossible. If you're feeling confused, our guide to the best TVs available will help you separate bargain-buy panels from the best 4K screens. We'll help you find an awesome flatscreen without wasting hours of research comparing spec sheets – after all, we've done the research already. If you're looking for a buying guide that deals with TVs that only support the new Ultra HD resolution, check out our page on the best 4K TVs. Or if getting a flatscreen on the cheap is your main concern, check out the best 4K TV deals. But, if you're looking for the best-of-the-best TV out there today without limits or stipulations, this is the place for you. "So, should I buy a TV now or wait it out?" This is a question we're asked a lot. Like most technology, TVs are getting incrementally better all the time – which means, yes, if you wait a year there will probably be a bigger, flashier TV out there for less money. But, that said, there has recently been a huge flurry of progress as manufacturers have rushed to embrace new display standards including Ultra HD, Wide Colour Gamut and HDR. The majority of TV manufacturers now support these next generation of features, but you'll have to check the small print in a few cases. So long as your next TV purchase supports these technologies (looking for an Ultra HD Premium certification is a good way to go), we reckon you won't be kicking yourself in six months' time when the next batch of sets arrive. If you do want to future-proof against the next wave of hardware specifications, though, the new HDMI 2.1 standard is going to prove crucial for serious gaming setups: allowing support for 8K resolution at 60 frames per second, 4K at 120, alongside a range of new gaming features that will be supported over HDMI. It's cool technology for sure, but unless you're seriously into your gaming then we reckon you're safe making a purchase now. Samsung Q90 QLED TV. Image Credit: Samsung. Last year the Samsung Q9FN won plaudits galore for its features and image quality. But it's now been replaced on our list of the best 4K TVs by the Q90 QLED TV. The Q9FN wasn't perfect and there were legitimate complaints about viewing angles and an over-aggressive local dimming system that crushed detail just above black. It's not too much of a leap to say that the Samsung Q90 is the most impressive QLED we have reviewed to date, incorporating comprehensive features and cutting-edge picture innovations. As a result, this TV can deliver a performance that is capable of competing with and often surpassing even the best OLEDs. At the top of our list for 2019 is the LG C8 OLED – available in both 55 and 65-inch iterations. It's here because it combines an impressive picture, an extensive set of features, an attractive design and its unrivaled smart platform, to deliver one of the best TVs we have seen to date. It’s not as bright as an LCD TV but those deep blacks make a huge difference to the dynamic range of the image. It’s also capable of vibrant and gorgeous colours, not to mention an astounding level of detail with native 4K content. There are other OLEDs worth considering this year (see: Sony's A1 and AF8 OLED or LG's own E8 and W8 OLED models) but we think the OLED C7 offers the best price-to-performance ratio of any TV under the sun in the year 2019. Samsung Q900R QLED TV. Image Credit: Samsung. The 8K television we've been waiting for? With only so much 4K content out there, you'd be forgiven for thinking Samsung may have jumped the gun slightly on this one. But this is still the world's first true 8K TV, and while it's easy to be critical about the Samsung Q900R, it truly does usher in a new era of TV picture quality. The native 8K pictures are incredible, looking just like the real world – only better. But even more crucially given the dearth of true 8K content for the foreseeable future, the 85Q900R makes all today’s lower resolution sources look better than they do anywhere else, too. Whether 8K delivers the same impact on smaller screens remains to be seen, but if you have a big enough room and budget, the Q900R is a vision of the future that’s spectacularly worth buying. In the UK you can find 65, 75, and 85-inch models, ranging from £4,999 to £14,999 – not quite for any budget, but with a few options for those weighing up the cost. Having potentially pushed the hardware capabilities of its current OLED screen technology as far as they can go, LG for 2018 turned its attention to the software that drives these screens - and this shift in focus has yielded surprisingly impressive results, improving and even removing many of the residual niggles associated with 2017’s already in truth outstanding OLED sets. OK, so if you can't afford Sony's new A1 OLED or the fantastic-but-pricey ZD9, check out the all-new XF90 series from Sony. With superb 4K image clarity, powerful SDR-to-HDR remastering, and a smooth direct LED backlight, Sony is offering something very different with the XF90. We loved the consistency of its images, motion being handled superbly for football fans, the eye-popping vibrancy of its wide colour gamut panel and its easy-to-watch HDR – you get spectral highlights without accompanying eye fatigue. Given this set’s high-but-fair price point, any niggles we have are negligible. The XF90 is highly recommended and deserved our Recommended award. Philips 803 OLED. Image Credit: Philips. With its second generation of OLED TVs, and a new P5 Perfect Processing Engine, Philips has managed to even further enhance the vivid picture and color contrast that last year's Philips 9002 OLED was capable of. The Philips 803 is a truly capable 4K television, and all the better a deal for being the cheaper sibling to Philips' flagship 903 model – so you're not getting Bowers & Wilkins speakers, but the reduced price brings the 803 much more in reach. This is one of the most promising OLEDs you'll find on the market today, while Philips' Hue-compatible Ambilight room lighting system is gorgeous for at-home watching. The software doesn't always match the promise of the panel, such as poor catch-up TV provision, a mere two full-spec UHD HDMI inputs and the lack of Dolby Vision. But these are minor concerns in the face of a dazzling OLED picture. Vizio P-Series (2018). Image Credit: Vizio. Vizio's 2018 P-Series is a great choice if you're after a TV that performs at an above-average level with great pricing. It has a number of top-shelf features with good black levels, but has its share of problems, too, like some audio reproduction issues and a slower operating platform. Although it’s clearly a step down from Samsung’s all-conquering Q9FN, the Q8DN is still a fantastic TV. Phenomenally bright, colourful and ultra sharp - it has all the right stuff for getting huge impact from today’s cutting edge picture sources. So why isn't it higher on our list? If you watch the TV from an angle, colour saturations reduce, and backlight blooming becomes much more noticeable. Second, Samsung’s Auto motion processing system is a bit over aggressive, causing too many distracting side effects for comfort. Happily the image isn’t too juddery if you prefer - as we did - to generally leave the motion processing off. Also, by Samsung’s usually high standards, the Q8DN is something of a plain Jane. It’s deeper than most TVs round the back, it sits on two fairly basic feet rather than a swanky, centrally mounted stand, and all of its connections appear on the TV rather than on a separate connections box. These are minor issues, obviously, and the picture quality is still top notch for an LED-LCD screen. But they do keep the Q8DN in the #10 spot on our list. Once you've decided on a panel, make sure you read our guide on how to set up your TV to make sure you're getting the most out of it.